CCTV cameras are being used more and more to help keep the elderly safe and secure, whether in private homes or in residential care. It particularly applies if you have a loved one living on their own. You know you are only a phone call away, but sometimes that may not be enough. 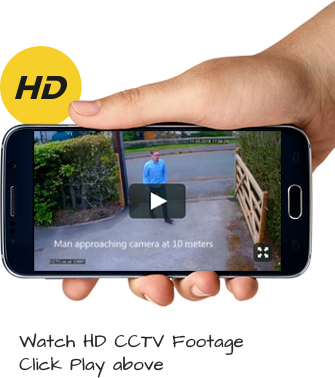 A CCTV system can enable you to keep a visual check on their well-being all the time, and will also make it possible for you to call for help if necessary. You can have the software you need on your computer to provide you with the ability to view and play back recordings. Wireless CCTV cameras in the hallway, kitchen and living room and porch would allow monitoring 24 hours, seven days a week, without intruding too much on the privacy of the elderly relative, and it would provide you with peace of mind, and them with a sense of greater security. It might also be an idea to have a camera that allows the person in the house to see who is knocking at the door. You could even have a system that enables you to keep a check while you are away on holiday. These days there is no limit to the possibilities. There are now affordable systems that allow you to log in from a computer or mobile phone. Whatever system you decide upon – and professional advice is always available from us – remember that, above all, you are doing your best to ensure that the elderly people you love are safe and sound. Call our team today on 0800 211 8310. When it comes to installing CCTV for the elderly, there are a wide range of different options available. Some of them are more obvious and act as a deterrent to intruders, while others are much more subtle and can be hidden in places that potential burglars, untrustworthy care employees and even your loved one, if necessary, are unable to see them. To find out more about the range of options available for CCTV for the elderly, get in contact with us today.